"I don't mean to be mean because I'm not a mean person. I just want me and my mom to be close and we can't with you around." --- . 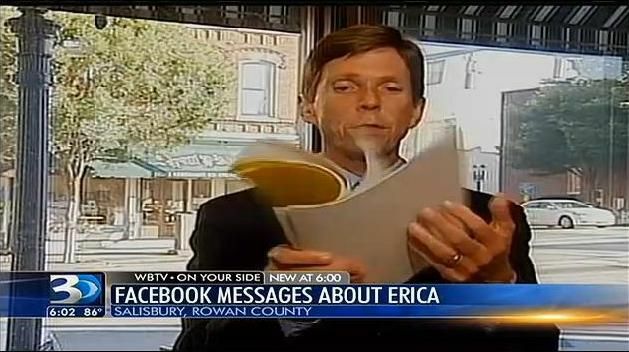 "In a set messages reportedly written on Casey's account, but signed by Erica in February 2011, the teenager told Carolyn that is was nice to meet her, but that she didn't want to come to her house." "It was nice to meet you but I don't want to come over your house. These are my mom and dad and I don't think as you being my mom. Maybe in a long time I will see you again." Please stop writing my mom because I don't like her talking to you a lot. I don't mean to be mean because I'm not a mean person. I just want me and my mom to be close and we can't with you around. I love my mom and thank you for giving birth to me and giving me to some wonderful people. 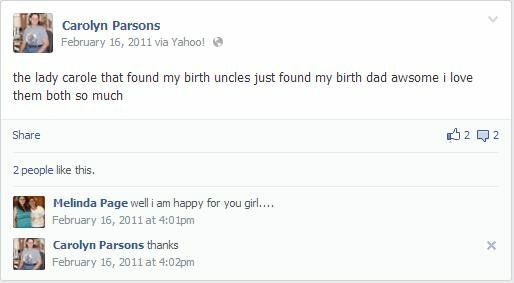 I would like to met my birth dad one time also. I'd like to see you again when I'm around twenty or so. Erica." Several days later, in reference to Casey being sick, Erica reportedly told Carolyn if Casey didn't get better, she'd stay with Sandy, her adoptive father. "I also stay with my Maw Maw when Mom is feeling bad," Erica wrote. "My Mom said she would help me find my birth father. I don't want but one mom and Casey is my Mom and the only one I want. I love her very much." "Carolyn told Erica that she never wanted her to think of her as "mom" and just wanted to get a chance to know her. "U [sic] also have other brothers and sister to [sic]," Carolyn responded. "Is that [sic] any way u can give me chance and get to know me." 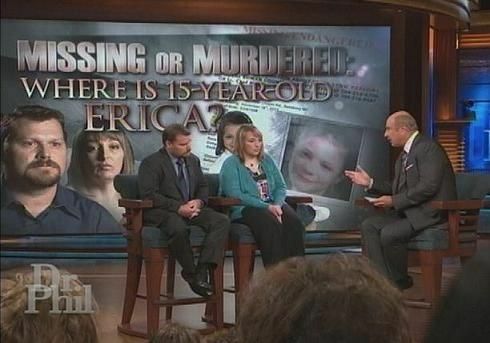 "Casey and Sandy Parsons, Erica’s adoptive father, have told authorities and said in interviews they haven’t seen Erica since November 2011 and last spoke with her by phone in February 2012." - "Casey and Sandy Parsons have maintained Erica is with her biological grandmother, Irene Goodman, in Asheville. Authorities say that’s not true, and other family members say there is no such woman." 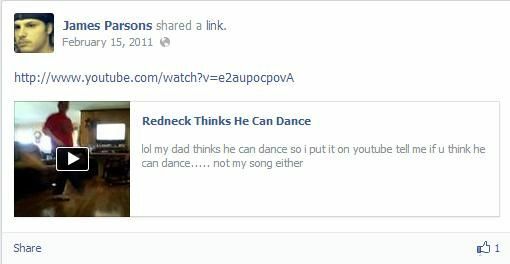 "In February 2011, a message was sent to Carolyn from Casey Parsons’ account. The sender said she was Erica and that she did not want any more contact with her biological mother. Erica said she didn’t think of Carolyn as her mother. She asked that Carolyn not write Casey again." "I love my mom and I want (to) thank you for giving birth to me and giving me to some wonderful people,” Erica said. "The teen then said she’d like to meet her birth father and would like to see Carolyn again when she was 20 years old. Carolyn responded that she loved Erica and wanted to get to know her. A few days later, Erica told Carolyn that Casey was the only mother she wanted." oh really?.. where? alive? or are you not telling the rest of the family? 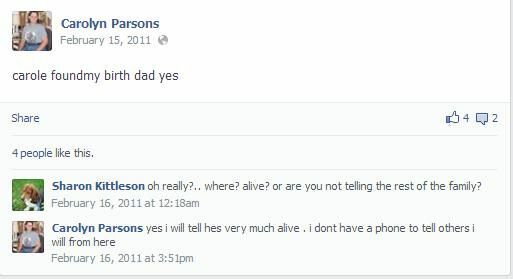 Casey Parsons son James "Jamie" Parsons --- .